I’m very excited to share the seventh episode of the Woolful podcast. 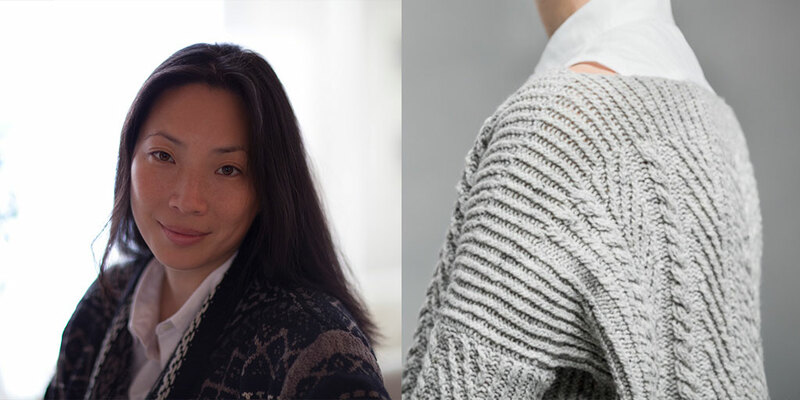 Today we get to meet two exciting and colorful fiber folk that come from different places within the fiber industry, but both hail from New York, Caroline Kaufman and Michele Wang. 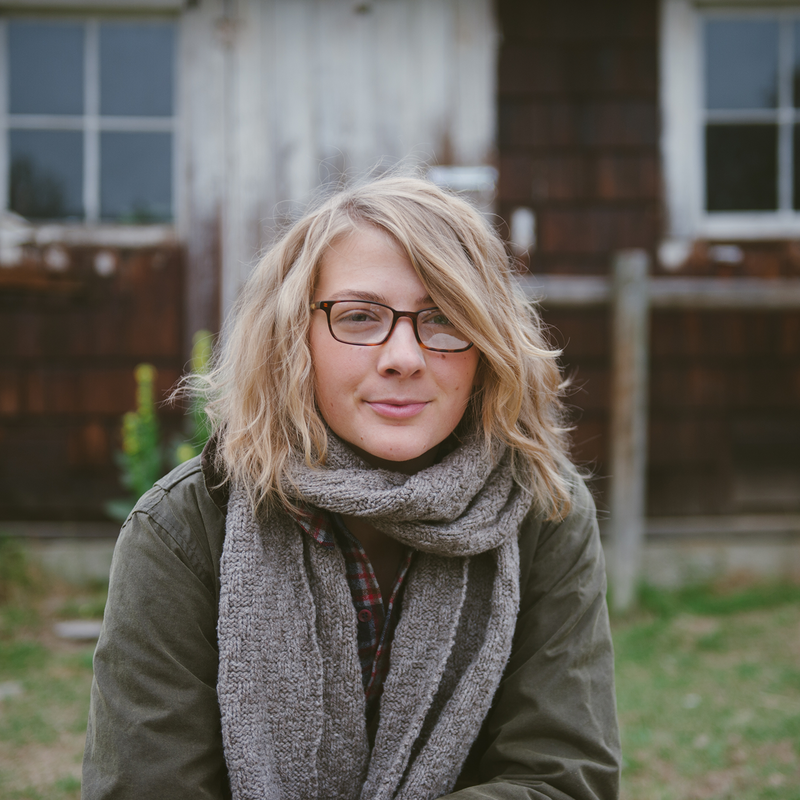 Fiber folk 1: Caroline is a up and coming fashion designer, color enthusiast and fiber junky. You can find her at carolinerosekaufman.com and on Instagram @crosekauf. Fiber folk 2: Our next guest is someone I’ve come to admire as both a designer and spinner, but even more so as an entrepreneurial go getter. Michele is an incredible knitwear designer as well as the creator of Gauge + Tension, a shop in Brooklyn featuring hard to find yarns. You can find her at mishi2x.com and on Instagram @mishi2x. 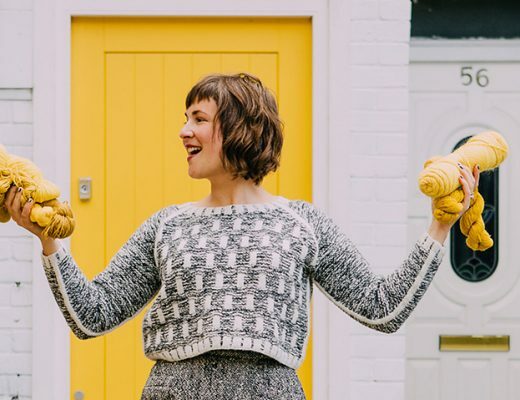 January 24th and 25th, Gauge + Tension is hosting their final pop-up shop at it’s Meserole Avenue location, featuring two special events with the Plucky Knitter and Miss Babs fibers and yarns. Beginning in February, you’ll find Gauge + Tension at it’s new home, a shared location with Brooklyn Craft Company in Greenpoint Brooklyn. Giveaway: The winner of last week’s giveaway is… @liseydear! Congratulations, you’ve one the Trewlawney Mitt Project Kit. The giveaway this week is a special one, our second guest Michele’s Paffuto hat pattern along with one skein of Quince and Company’s Puffin. To enter this giveaway, leave a comment below on this blog post. Next week Michele has a brand new pattern coming out designed in Woolfolk’s Far yarn. A long cardigan, featuring pockets, deep ribbing and a stockinette stitch pattern. A great selfish knit for deep Winter. 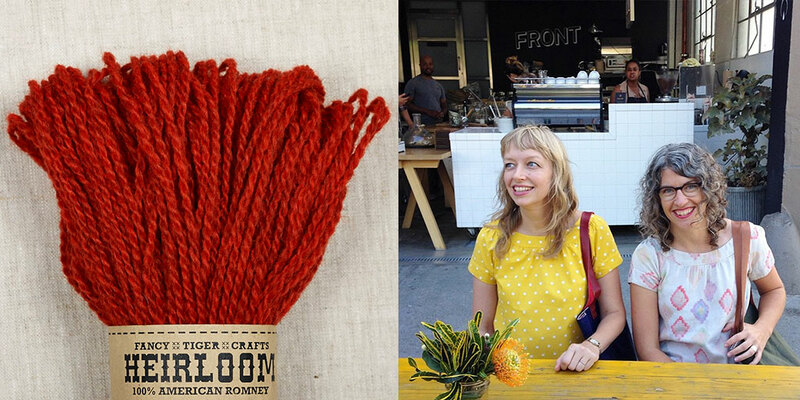 Michele is offering a special Ravelry coupon to you fiber fans. Starting next week and available through February 15th, use the code “woolful15” for 10% off of this beautiful new pattern. Lovely podcast. I look forward to new episodes every week. 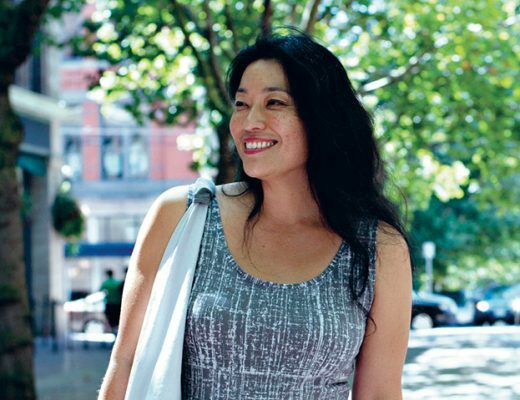 This week you featured one of my favorite designers, Michele Wang! When I saw the new podcast this morning was up, I just had to giggle to myself knowing that I will have a little Momma break in my day to listen to it myself. What a treat! I got to get on Caroline Kaufman’s site this morning, what eye candy. 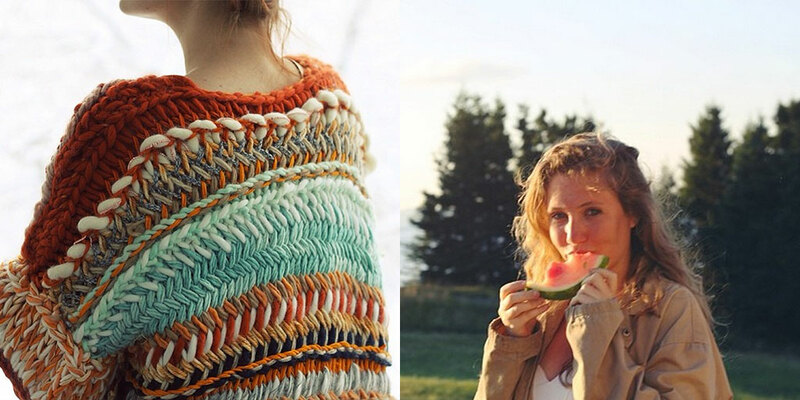 Her collection for 2014 was simply divine, the colors, the yarn, texture. Very inspirational! As always thank you! I am really looking forward to hearing Michele Wang. Thank you for the lovely podcasts. can’t wait to listen, learn and, undoubtedly, become inspired! these podcasts are really great – thanks for getting them to us! I LOVE your podcast!! After years of having a love affair with crocheting and all things fibre related I finally feel like I am part of an inspiring and wonderful creative community. Every episode has been great but thank you for featuring Caroline Kaufman this week. I came across her Instagram a couple months ago and have been so inspired by her work – I’m really looking forward to hearing what she has to say! Thank you so much and I can’t wait to hear more about your personal journey! Looking forward to listening to this podcast. I love Michele’s work and have been waiting to hear your talk with her. Thanks for the giveaway and the 10% off coupon! Thank you so much for your awesome podcast, I look forward to listening to it every week! I am super excited for Caroline Kaufman – I came across her Instagram a couple of months ago and have been so inspired by her work. Thanks for the giveaway! So glad I finally had time to listen to a podcast, I can’t wait to go back and listen from the beginning. I love Quince and Co and Michele, this may be my favorite giveaway to date!! Oh I can’t wait to listen! I may sneak some in this morning while running around with the kids! tuesday is the best day of the week! thank you, thank you for this podcast! Love that hat pattern! I’m always looking for a good one living in Chicago here when we have our horrendous winters. Looking forward to catching up on the podcast! I want to thank you so much for bringing us this lovely podcast every week. I have just recently moved to the Charleston, South Carolina area for my husband’s work and have been very bummed about the lack of a knitting community and LYS in the area. My only fiber and knitting community is now virtual, and through long phone calls with my mom and her fellow knitters on speaker phone. So far these podcasts have been amazing! I love the variety and the consistency – this podcasting endeavor has been a success! I’m a little behind so I’m excited to listen to this one soon! 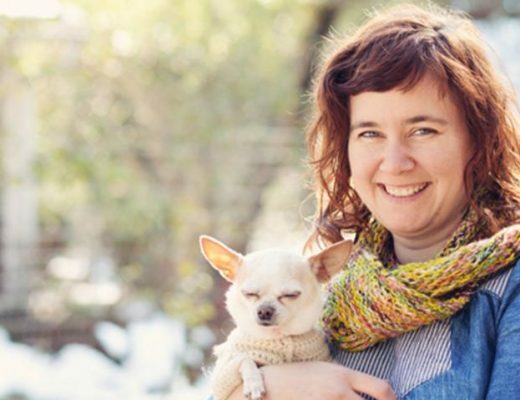 Wonderful podcast and great giveaway of Quince yarn! Thanks. Beautiful hat pattern! I’m at work right now, but I can’t wait to listen later! I love your blog and I enjoy your podcast very much. I look forward to some relaxing and knitting while I listen tonight! Very cute hat! new listener and loving it! love the hat pattern! Thank you! I really enjoy this podcast! So much great info and cool makers. improvisational with color and design! Thomas Jefferson said, “Though an old man, I am but a young gardener.” That’s how I feel about the fiber community! I’m very inspired by the creative young women and men who are pursuing their creative vision and turning it into careers. I started knitting in my 50s and I’m enjoying every challenge in a long learning curve. Keep up all your good work, Ashley! Another great podcast! Im so excited when it’s Tuesday! Wonderful assortment of fiber folk! Never disappointed! Until next week! Can’t wait for next week’s episodes! Love the podcast! I look forward to it each week. Such a fan of Mchele’s work and I really enjoy knitting with Quince. This podcast had kept me sane in the midst of holiday traveling. It has turned seemingly endless hours of driving into a delightful experience where I’m continually engaged and inspired. I’m so grateful for what you do. Surely whoever wins that hat pattern is very lucky. I’ve visited Gauge and Tension a few times. Michele actually taught me how to spin with a drop spindle. She told me she’d be on Woolful sometime this month, so I was very excited for this episode…and then I was so pleasantly surprised that Caroline Kaufman was the other guest! I found her Instagram a few months ago and adore her work so much. I loved hearing about the making of her quilted jacket. I visited Hopkins Winery last weekend and got to see the Sachem Farm sheep and buy some of their wool! This is my favorite episode yet – Caroline’s clothes are so beautiful, and I thought that Michele had some great advice. Thanks! 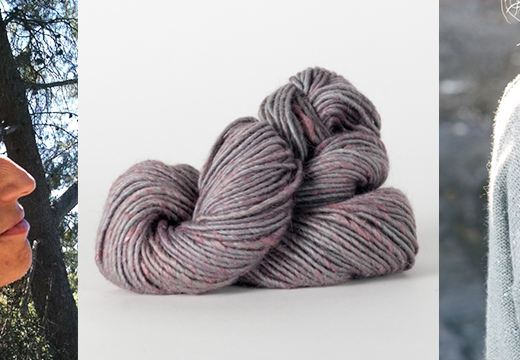 Swatching for a Brooklyn Tweed design with Shelter yarn while listening to this podcast — so appropriate to have a member of the Brooklyn Tweed design team featured! I am loving your podcast! I have wanted to try quince and co. for awhile so this is great inspiration. Thanks for all the time and energy you put into this podcast and site! I am so glad to have discovered your podcast. Many thanks for creating such thoughtful content; it certainly makes my walk to and from work in this freezing weather a lot more enjoyable! Thanks very much for making such an awesome podcast. I shared it with my coworker who is getting into sheep farming here in Western Washington. Your site was well-received. Just recently found my way to your blog and your journey and what you are doing is so amazing. I was raised with sheep and my mom and dads entire life revolved around them in one way or another. After a short time without them due to health issues. Now in their 70’s they are once again embarking on their next sheep adventure. Thanks so much for getting the word out about sheep the non-wasteful consumers. Good luck in your wooly endeavors!! I was so excited to find out about these podcasts! I commute from NJ to NYC for work and this will make my commute much better!!! Another great podcast and an introduction to your two guests Caroline and Michelle. I would love to win Michelle’s pattern and the Quince yarn, thank you. Dear Ashley, you make my knitting time even more enjoyable, thank you so much! I look forward to every new episode, the interviews are so interesting, you ask just the right questions! 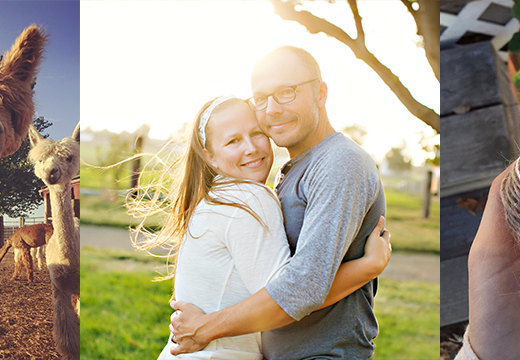 Best wishes to you and your family and the plans for the farm and mill! I feel so calmed by your beautiful podcasts, even while driving. It validates my love of fiber and makes me dream of opportunities I had not dare dreamed of before. Loved the podcast this week! Having recently quit my job, it’s always inspiring to hear about others’ journeys with their careers. Love your podcast. I’ve recently cut back on NPR because I listen with my kids and there is a lot of stuff in the world that is not kid friendly. Your podcast is always inspiring and kid friendly! Lovely to discover your podcast this morning while getting the day going. Pulled out a long neglected UFO to work on while I listened. I especially loved the segment with Michele. Sorry I meant fibre, not finer. Automatic correction haha. Loved this weeks talk with Caroline, she was so sincere! I just started this podcast and enjoy listening to it so much. The interview is inspiration for me to keep on knitting! So grateful for all you do! Thanks for sharing your passion!!! another great podcast…makes my daily commute so much more enjoyable! And I’m such a long-time fan of Michele’s –love her! 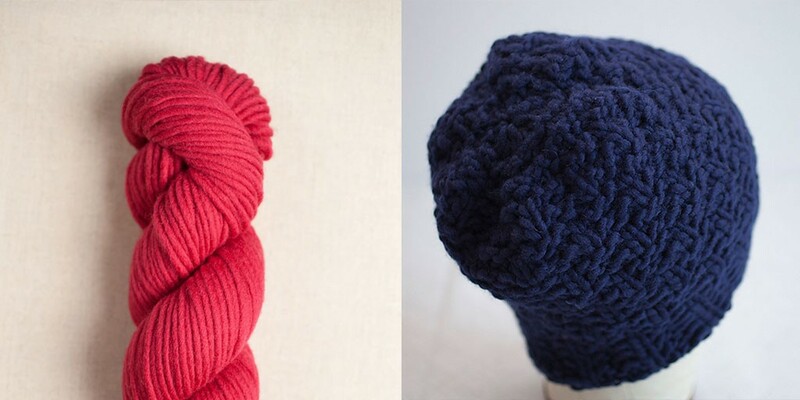 I listen to your podcasts while working out – when I’m done it’s time to knit! Thanks for sharing your journey and interviews! Another great podcast! Please enter me in the drawing. just started listening a week ago and am playing some major catch-up! i think I will write you a more lengthy message via email. Thanks for sharing these people to more fiber folk. I just discovered your podcast and I’m in love! Your interview with Michele is just great and I can’t wait to see what you do next. The sweater by Caroline is absolutely GORGEOUS! So funky, so free style! Thank you for the podcast. I just discovered this delight of a podcast this week and I have been binge listening late into the night while working on a quilt. I’m already looking forward to listening next week! Thanks another great episode, interesting and informative. I just stumbled onto your podcast this week and have binged listened to all the episodes! I love hearing all of the stories and am looking forward to hearing more! The best podcast so far. You have the best guests.I feel I learned a lot by listening to both guests. It opened my eyes to a new designer and inspired me with a designer I already love. Keep up the great work! Been listening while stuck in traffic, my only relief! Thank you!! Love learning about the designers. I am so glad I came across this site and found the podcast. LOVE it!! This podcast has quickly become a favorite. I look forward to each new episode. The short film you posted is so beautiful I could cry. So happy for you to live your dream and share it with us. This is my first time listening to your podcast! I love it and can’t wait to listen to the back episodes! Oh wow, Carolines way of crafting is so inspiring. Can’t wait to knit with the next podcast! Thanks again for another good episode and gracious give-away. Loved this week’s podcast! I so badly wanted to visit Gauge & Tension during my November trip to New York but it sadly didn’t happen. I did get to visit Caroline’s favorite shop, Purl Soho. I loved that you suggested she should bring her finished knits in to show them – when I was there they showered one of my own designs with compliments. I was very bashful, but it was wonderful and they are so kind. I am such a huge fan of both these designers, I loved these interviews… dare I say it was my favorite so far? Loved this podcast! I look forward to them and am always inspired!! I enjoyed both interviews so much! Love the podcast. Thanks for the inspiring discussions that accompany me on my dog walks! Hi, I absolutely love your podcast. I think your thoughtful interviews give me new windows to this lovely world full of fibers and color. I was so tickled to listen to Michelle Wang as I am always drawn to her designs . Keep up the great work you are much appreciated! Great interview with Michelle Wang! I’ve been admiring her BrooklynTweed designs for years. Nice to connect a voice and a personality with a design aesthetic. This was my first podcast and it was very interesting. Since I love all things Quince I had to comment as well! I love all of Michelle’s designs. I have the yarn and pattern for stonecutter, I just need to cast on! This is hands down the best fiber related podcast out there! It is so inspiring to hear from people who love their job. Thank you for a great podcast. wonderful episode, again. thank you all so much! I love your podcast. I’m looking forward to a Saturday afternoon of knitting and listening. Thank you! I love your podcast! You ask great questions and let the interviewee answer them. Your voice is so relaxing to listen to. Thank you! On top of getting to hear about her design process, it was so cool getting to hear Michelle was in IT. I currently work in IT and sometimes view myself as kind of a nerd. I got to meet Michele back in november at gauge and tension and I found her just SO inspiring. on my way back home from my FIT interview in the city to transfer in to their textile/surface design program, I saw Jared Flood walking in Penn with a garnet bag. At the time i didn’t know what he really looked like, I think I had only seen a picture of him once a long time ago but I just thought to myself “thats probably Jared Flood from brooklyn tweed, maybe its a sign that I’ll make it into the textile program. I then went home and looked at the BT blog and saw a picture of him and sure enough IT WAS HIM. I don’t really know how I knew, I guess it was the garment bag. Love this podcast, especially its eco focus. The great advice about balancing passion, life, and mothering is also so, so, so good. Thanks! Thanks for all of the great info and giveaways! I can’t wait to see what Michele’s new sweater will look like. Just recently discovered your podcast and Instagram feed. What an inspiration! It’s so nice to hear other fiber folks stories and to realize how connected this community is. Wool is a wonderful thing! Keep up the great work! Great work! I am new to knitting and really enjoy learning from talented artistians. Great to hear Michelle’s journey and design process. Love your podcasts! Always looking forward to the next one. Oh how I’d love to win the giveaway! I enjoyed your conversation with Caroline Kaufman so much–it’s inspiring to know we can always be thinking outside the box and pushing our personal fashion in our knitted art-pieces. Thanks again for a lovely episode! Just finished my little hat while listening. Thanks for doing what you do, Ashley! z.
just found your podcast and I am loving it! What a great podcast. I really enjoyed the interview.